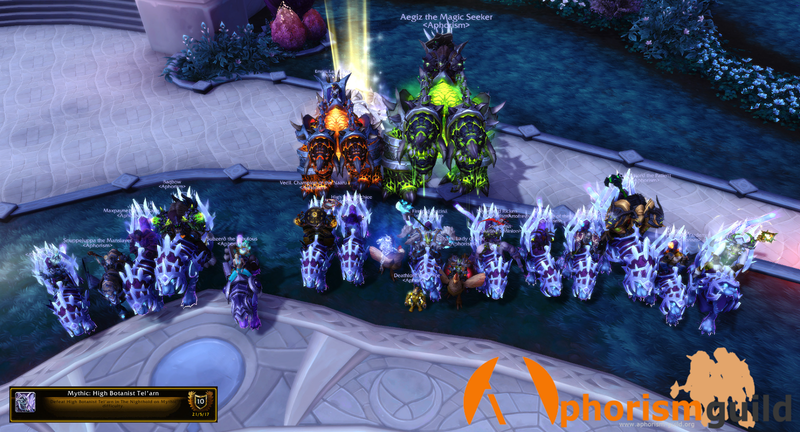 Aphorism: Aphorism gatecrashed the Nighthold Garden Party! Aphorism gatecrashed the Nighthold Garden Party! From his youth, the nightborne Tel'arn was fascinated by plant life: the resilience and adaptability of weeds, the ability of simple grass to harness the power of the sun..
Another fun fight, looking forward to some challenges now! Great job team!